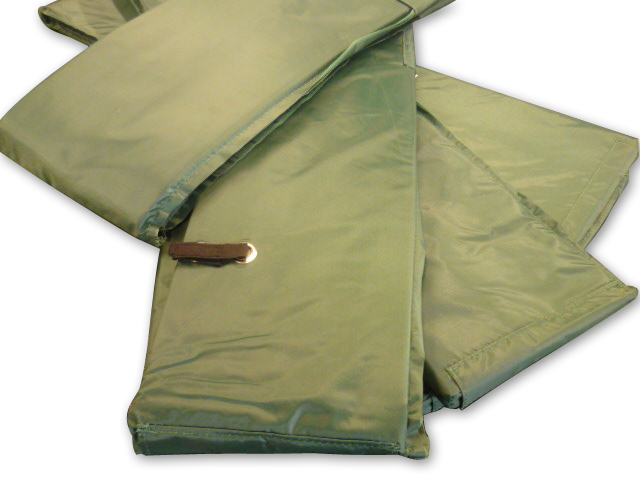 Green quality UV treated material cover with high density foam inside. 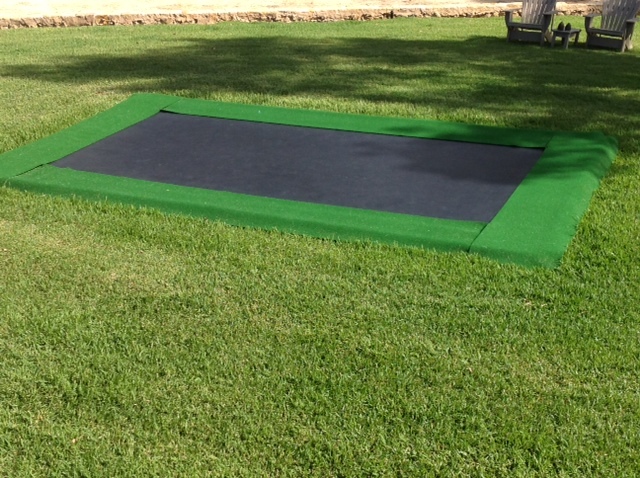 Our rectangular spring pads have UV treated green material covers, with high density foam inside. Thickness is 11mm – 21 mm (wedge shaped). The width of the pad will vary to cover frame. They come in 4 rectangle pieces, which velcro together at each end and then tie onto the frame. 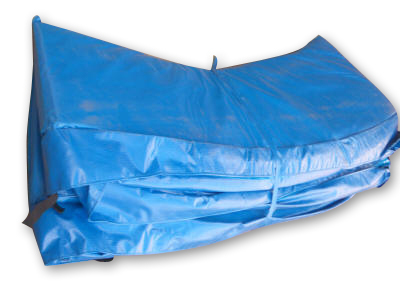 It is difficult to estimate the lifespan of trampoline pads because it depends on climate, daily sun exposure, and level of usage. 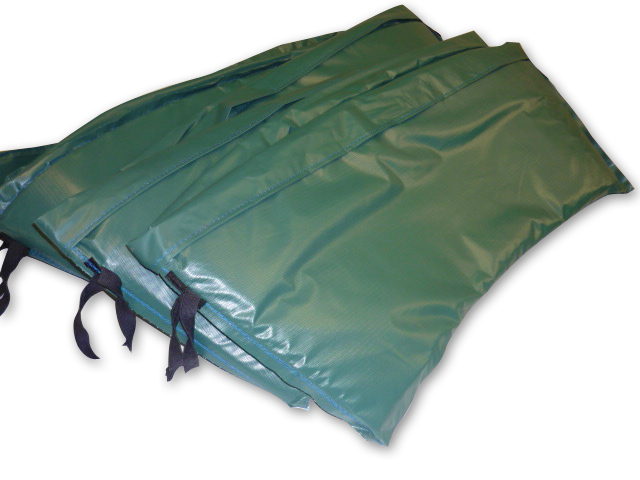 Generally, you can expect 1-3 years from our Greeen PVC spring pads.